Who is Jesus Christ? Who do you think he is? President Smith reminds us that Jesus Christ is our Savior and Redeemer and that through him, all things are possible. “All things are concentrated in and around the Lord Jesus Christ, the Redeemer of the world. We know that salvation is in Christ; that he was the Firstborn Son of the Eternal Father; that he was chosen and foreordained in the councils of heaven to work out the infinite and eternal atonement; that he was born into the world as the Son of God; and that he has brought life and immortality to light through the gospel. Has your answered changed from the beginning? What else does this quote from President Smith tell us about the character of Jesus Christ? Because of Christ’s atonement and sacrifice, we know that he loves us. As President Smith stated, he ransomed us from the temporal and spiritual death brought into the world. What does Christ ask from us in return for his infinite and miraculous gift? “The gospel insists that Jesus has given glory to the growing company of his friends and disciples so they can be all be one. When we recognize the glory of another human being, we become her advocate, and we begin to see him as friend. The word that’s used for glory has echoes that speak of awe, and gravitas, and deep significance. The glory we’ve received is something like a grand ceremonial garment, maybe even a shining face like Moses’, that says to those around us, “here comes the image of God.” The world begins to change when we see that glorious skin shining on our brothers’ and sisters’ faces. As Christ himself states in Matthew 22:39, the second of the Two Great Commandments is to love our neighbor as ourselves. When we love our neighbors, we “discern their glory” as Bishop Schori tells us, which is exactly what Christ does to us. He sees our glory and our potential (hence the Atonement) and He asks us to do the same of our brothers and sisters. So, one of the key things that Christ asks of us is to look for the glory in others and reflect the love he has for us onto other people. This is one way we can pattern our lives after the Savior–– to see the good in others and love them as ourselves. We’ve all been wronged at some point in our lives. Whether from a divorce, miscarriage, job loss, or anything else. How can Christ help us to reflect his love not only onto those who have harmed or wronged us, but also onto ourselves? How can we lean on Christ to see the glory in our enemies and in ourselves, even through hard times and trials? “So, we become the children, sons and daughters of Jesus Christ, through our covenants of obedience to him. Because of his divine authority and sacrifice on the cross, we become spiritually begotten sons and daughters, and he is our Father. What is “the name of Christ”? From this scripture, the name of Christ can be described as: long-suffering, hope, glory, eternal life, rest, uplifting, etc. How can we take upon ourselves the name of Christ on a daily basis in our everyday lives? 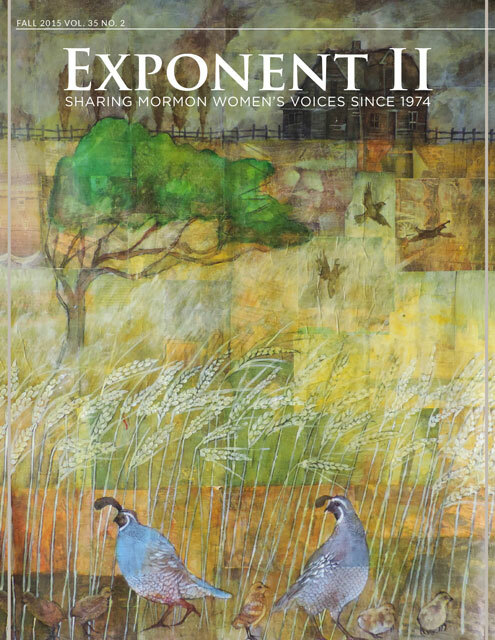 How can we exemplify glory, eternal life, hope, etc? In our day and age, there are many in our society who disbelieves the divine mission of Christ. There are also just some who simply don’t believe, for whatever reason. However, I believe it is possible for non-Christians/non-believers to live Christian lives. How do we strengthen our testimonies that Jesus Christ is the Son of God despite living in an ever-increasing disbelieving and secular world? “This was wrong . . . Jesus broadens the horizon.” Pope Francis said, “The root of this possibility of doing good – that we all have – is in creation. […] The Lord created us in His image and likeness, and we are the image of the Lord, and He does good and all of us have this commandment at heart: do good and do not do evil. All of us. Yes, he can… “The Lord has redeemed all of us, all of us, with the Blood of Christ: all of us, not just Catholics. Everyone! Even the atheists. Everyone!”.. We must meet one another doing good. What can we do to learn from our friends of different or no faiths to become better Christians and live more Christ-like lives? How can we become better Christians and do good, no matter what our beliefs? How can we follow the example of the Savior and “meet another there” in doing good? “You can feel the joy of his presence and have his inspiration to guide you each day of your lives if you will seek it and live worthy of it. Jesus’ love and the comforting strength of his Holy Spirit can be just as real to you as they were to the children he drew close to him when he lived on the earth. What can we do to feel the love of Christ in difficult times? What happens when the Primary answers of pray, read the scriptures, and attend the temple are just not cutting it (especially for trials such as divorce, infertility, disbelief, etc)? How can we actively feel the love of Christ and help others to feel his love? To the teacher: Finish by testifying of Christ’s unending and unconditional love for each and every single person. Chelsea S., I love your quotes from other religious leaders. They add so much to this lovely lesson. Thank you! This is so wonderfully laid out – especially the probing question about how we can learn about being Christ like from anyone – and to look for those lessons in anyone. You reminded me of the seventh book in C.S. Lewis’ Chronicles of Narnia where a Telmarine finds himself facing Aslan and not understanding why because he served the god Tash all his life. Aslan explains that all the young soldier did in his life was good and therefore due to Aslan over his opposite Tash – even though the soldier never knew who he served, the acts were accepted. I love that you brought up the Last Battle. That helped me understand this principle better than almost anything else growing up. That people who do good in the name of Tash were really doing it for Aslan all along, and people who do evil in the name of Aslan were never serving him in the first place. Three cheers for Narnia lovers! This is a really lovely lesson plan, Chelsea S. Thank you for offering it to us. I felt your love and faith as I read it, and like Emily appreciated your inclusion of quotes from different religious leaders. The passage from the current pope was particularly meaningful to me. I loved the line about meeting people at the good. Thank you, too, for suggesting that the teacher testify that all are loved, unconditionally. That may be the most important thing about Christ. Chelsea S, this is a perfect lesson! I LOVE that you quote a female Episcopal priest and talk about Pope Francis, etc. Wonderful questions. Thank you so much for putting this together. Chelsea S., Thank you so much for this post! I was seeking for something to feel the spirit and be enlightened and found it in your lesson plan. I love the admonition from Bishop Schori to “discern their glory.” That is such a powerful way to teach Christlike love and the Atonement. Thank you so much for helping to make my heart happy! I really liked the quote from Pope Francis, and that we can meet together doing good. I like the idea that when you are acting Christlike it doesn’t really matter if that is the word you would use to describe your actions. Maybe you don’t believe in Christ, but if you’re self-sacrificing and filled with charity, caring for the poor and needy, putting others first then it doesn’t matter what label you’re putting on yourself, Christ sees and understands your heart. What a great reminder. Thanks for this lesson! Thank you so much for the kind words everyone! I used to be a Relief Society teacher (it was actually my first calling ever), so I loved going back to my “roots” and planning a lesson. Thank you for sharing this outline! I also like the direction of taking quotes from other (nonLDS) religious leaders and tying together our unity. I have seen and heard so much nastiness in Sunday School and Relief Society meetings in my ward lately, people tearing down the beliefs of other churches. I go to my church to be edified and learn what the doctrines of my church are, not hear why others are wrong or horrible. So thank you for that! 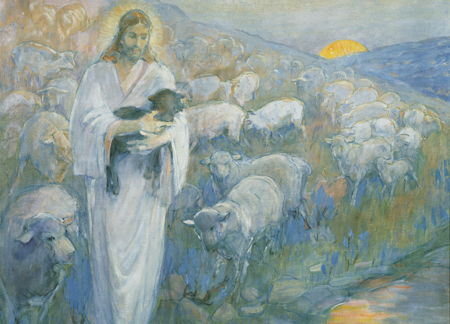 I am teaching this lesson tomorrow and am going to introduce the lesson by talking about the painting included in the manual – the Rescue by Minerva Teichert – and how do we all sometimes feel like black sheep (not sin, but by being childless, single, working full time, being a convert, etc). Also may talk a bit about ways Teichert was herself a ‘black sheep’ among Mormon women. I love Minerva Teichert, and your plan sounds lovely. I hope your lesson goes well today. Thank you!!!! I am teaching RS for the first time tomorrow and was really struggling with an outline for my lesson. This truely was an answer to prayers, and helped me so much. thanks again for taking the time to post this. Best luck in your lesson!